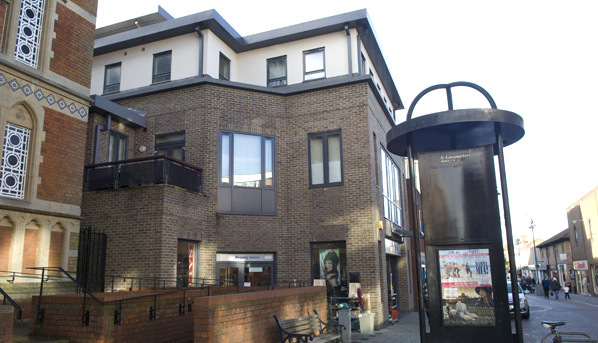 Situated adjacent to the old Town Hall (now Arts Centre) in Haverhill’s town centre, this site presented many challenges both technically and in terms of planning. 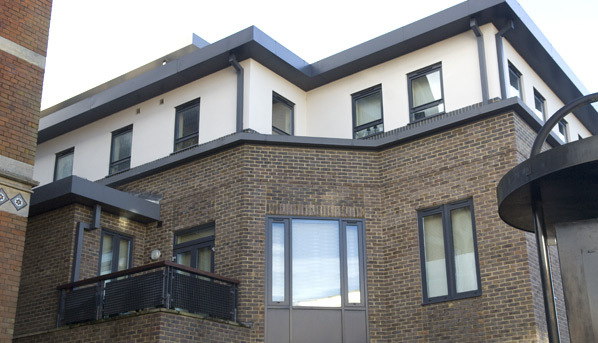 The vacant site had limited access and a 4 metre split-level through its centre. 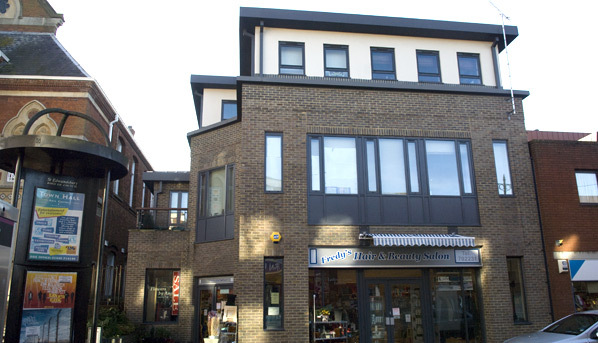 Our scheme created retail units at ground floor and seven individually designed flats over three storeys above. Site lines to the Town Hall building had to be respected and an architectural style had to be achieved to bridge between the Victorian-Gothic of the Town Hall to one side and 1970 retail and commercial buildings to the other. 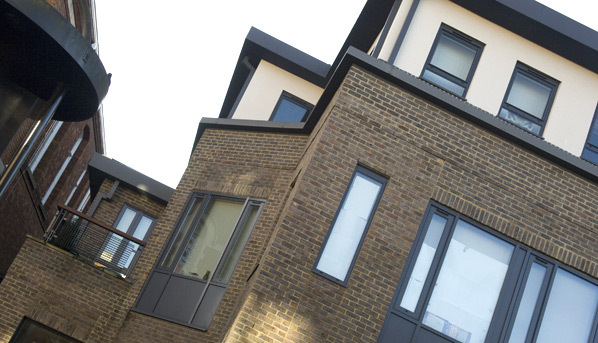 A simple contemporary form was the result using muted facing brick, grey metal, render and slate .